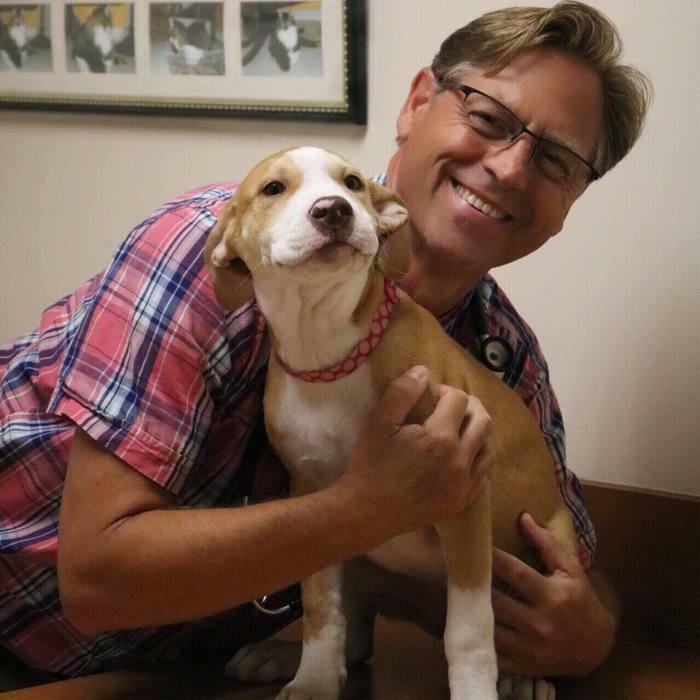 Dr. Townsend attended the University of Kentucky and Purdue University before attending Auburn for Veterinary Medicine and graduating as Valedictorian in 1986. 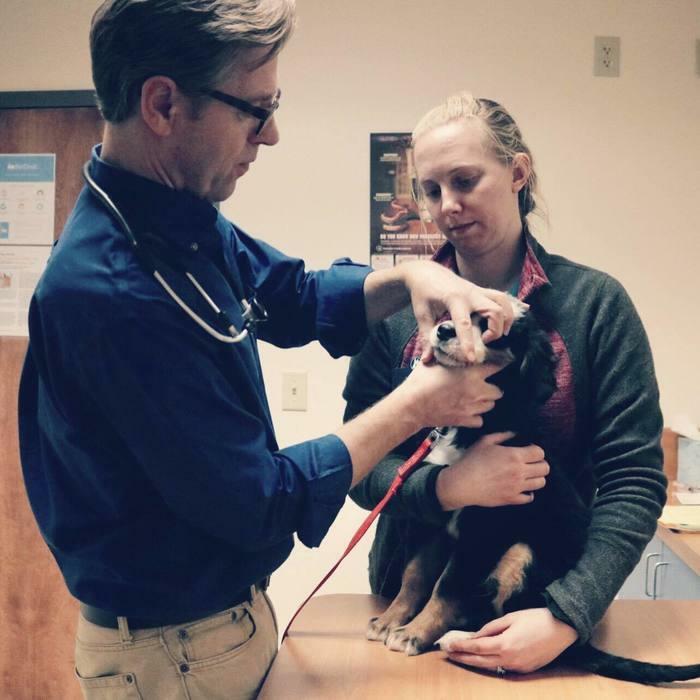 He is a member of the AVMA and enjoys attending continuing education seminars to stay current on veterinary topics and best practices. He is always trying to improve how we help our patients. When he's not at work he's parenting his five children, the oldest of which recently graduated veterinary school. 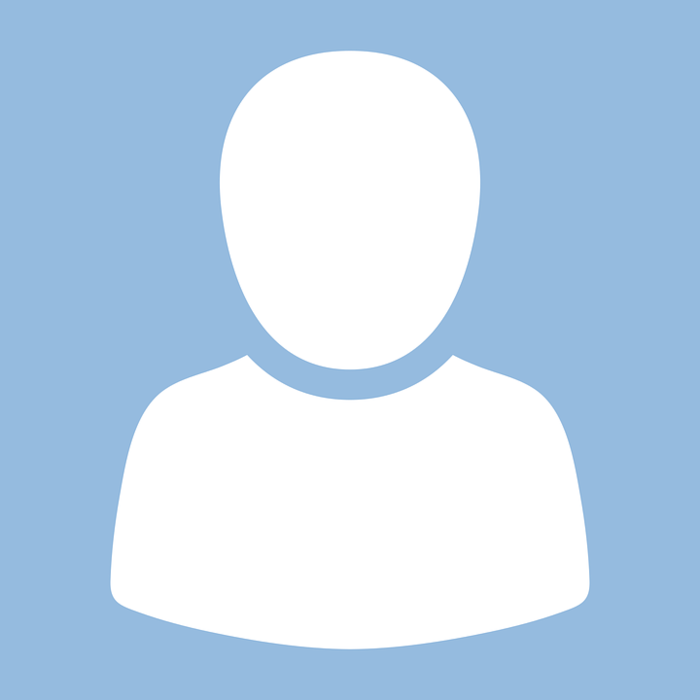 Dr. O'Grady has lived most of her life in Louisville, Kentucky. She attended Miami University in Oxford, Ohio graduating in 1982 and moved on to graduate with honors in Veterinary Medicine from the University of Auburn in 1986. Upon graduation she worked for a year in Muncie, Indiana before returning home to Louisville. She shares her rambunctious home with her two daughters, two dogs, three cats, and horse. 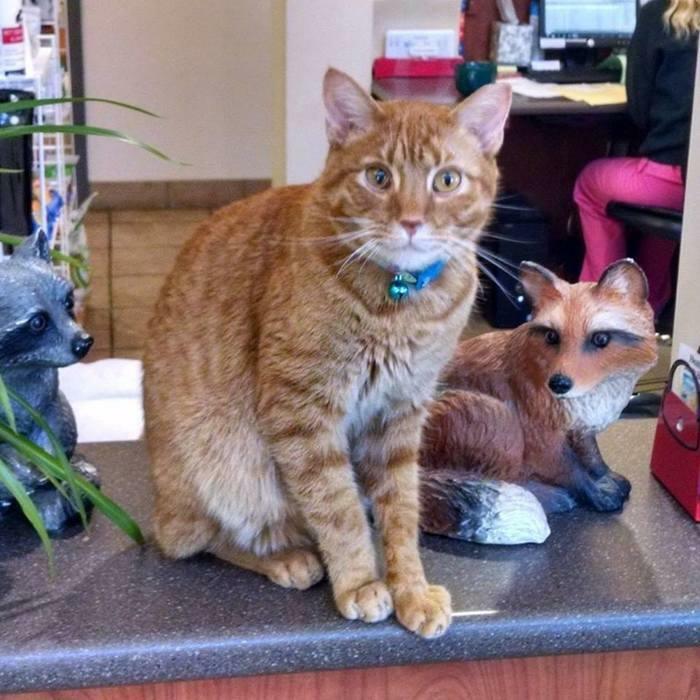 Samson has been our clinic supervisor for a few years now and he does a fantastic job! He greets us every morning and makes sure we all make it to work every day. He was found by a client after having been hit by a car and they brought him to us unsure if he would make it. After much care from our doctors he made it through a broken jaw and a few other serious injuries to become a happy, healthy part of our team. He specializes in making our furry clients feel at home and reassuring the pet parents by always letting them pet him for comfort. 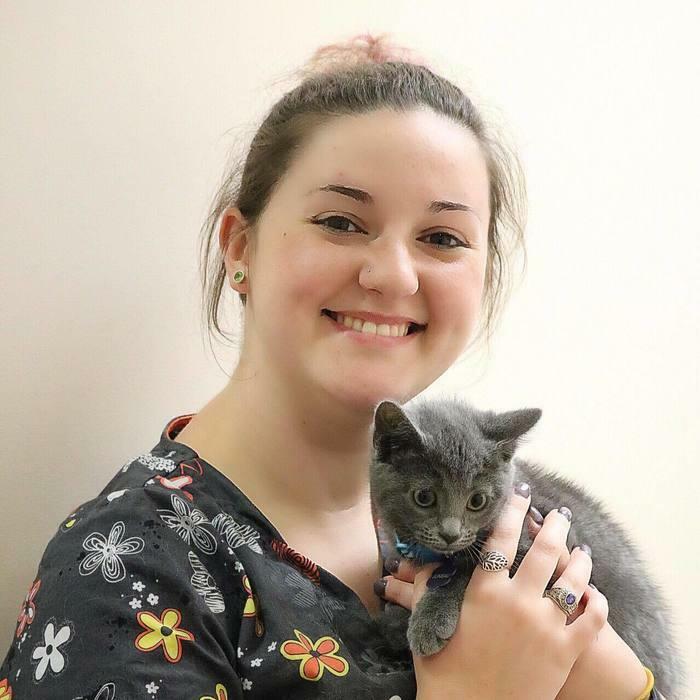 Selina attended Brown Mackie's two year vet tech program and loves applying what she has learned here. Before coming to us, Selina worked in several different fields but this is her first in the animal industry. Selina is a very important member of our team and is always smiling. Ask her about her two dogs at home. 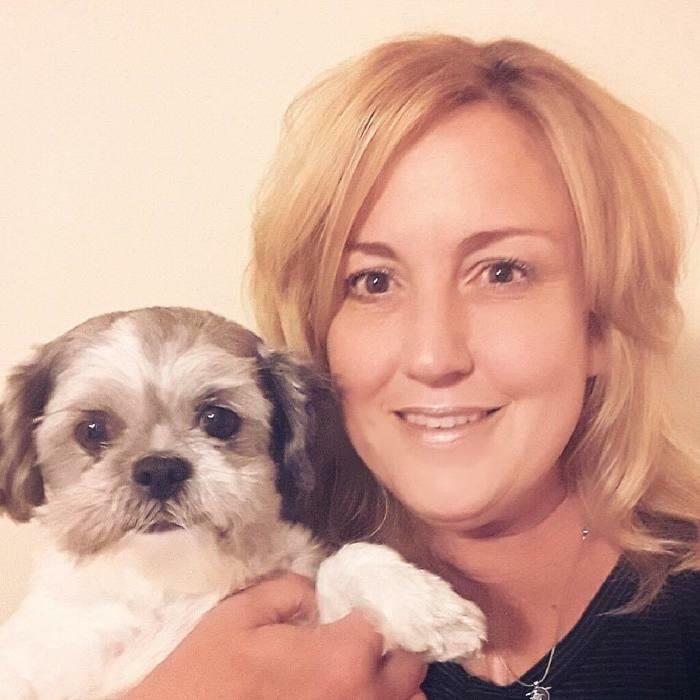 Melisa has worked with animals for over 23 years in veterinary practices in Kentucky and Illinois. She worked for Barbour Lane from 2002 to 2008, worked as an Animal Control Officer for 3 years in Shelby County, then returned to Barbour Lane in February of 2011. She is happy to be back where she belongs and loves helping Dr. O'Grady and Dr. Townsend as part of a top notch hospital team! As a certified Phlebotomist she adds a great deal of value to our team. Ask her about her two dogs and cat at home. Lauren began as a volunteer with us in 1999 and has worked her way up to being a highly regarded employee. She works a full-time job she loves and spends her Saturdays at the hospital helping us. 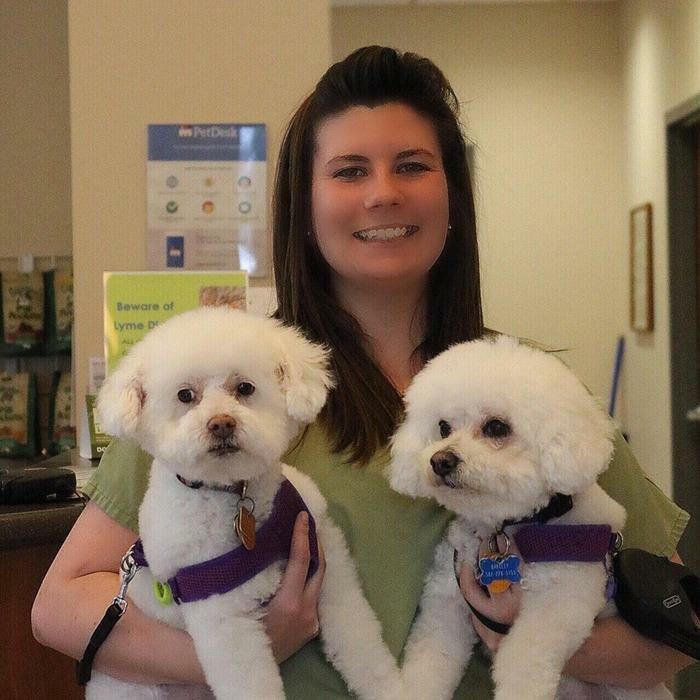 Lauren has an undeniable passion for animals and it shows with every patient interaction. Ask her about her parents terrier she dog-sits. 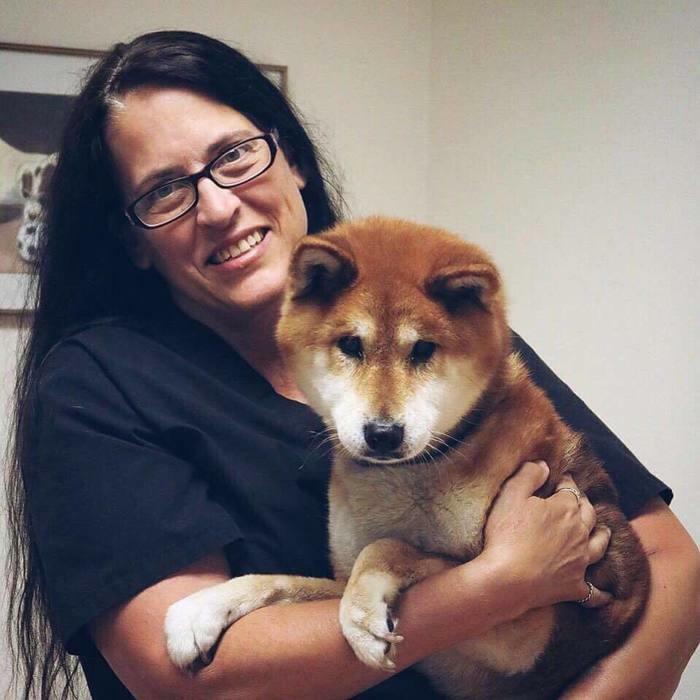 Kathy has been with us for many years and comes with Animal Emergency Service experience that is crucial to our more emergent cases! She has many important roles at the hospital and consistently goes the extra mile for our patients. She has a fun-filled home full of two dogs, six cats, and a clutch of chickens. Maddie has been with us for a very long time. She started out as a kennel assistant and became one of the best we've ever had! She still helps in the kennel area from time to time but now also helps in the exam rooms, treatment, and the front desk. Maddie does whatever we ask, and always does it with a smile on her face. She has become a very important part of our team. She lives at home with her family and pets that have been clients of Barbour Lane for many years. Helen is only here with us part-time. She is typically working behind the scenes in our treatment area, but also helps from time to time in the rooms with our doctors. Be sure to give her a smile when you see her! Jill had been a groomer with us years ago and is now back to help us provide excellent customer service at the front desk. She is a very talented photographer and provides many of the photos here and on our Facebook and Instagram accounts. She loves animals of all kinds and always has time for some quick ear scratches! Ask her about her three cats and dog at home. 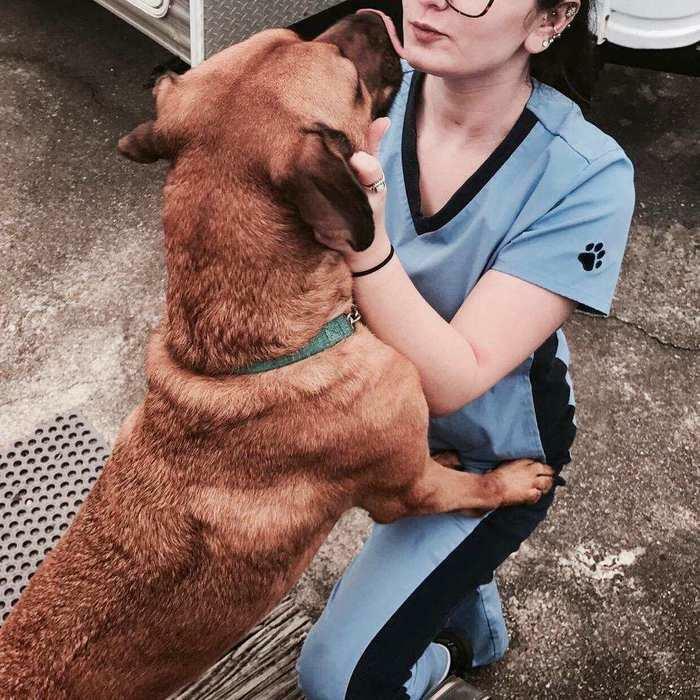 Rena is new to the veterinary field but loves animals. She is doing such a great job getting to know how we do things and being a phenomenal asset to our hospital team! She is always willing to help out wherever needed and is eager to continue to learn. She shares her home with her husband, mother, and dog. She hopes to learn and expand her knowledge in caring for animals so that she can give the very best care to each patient! 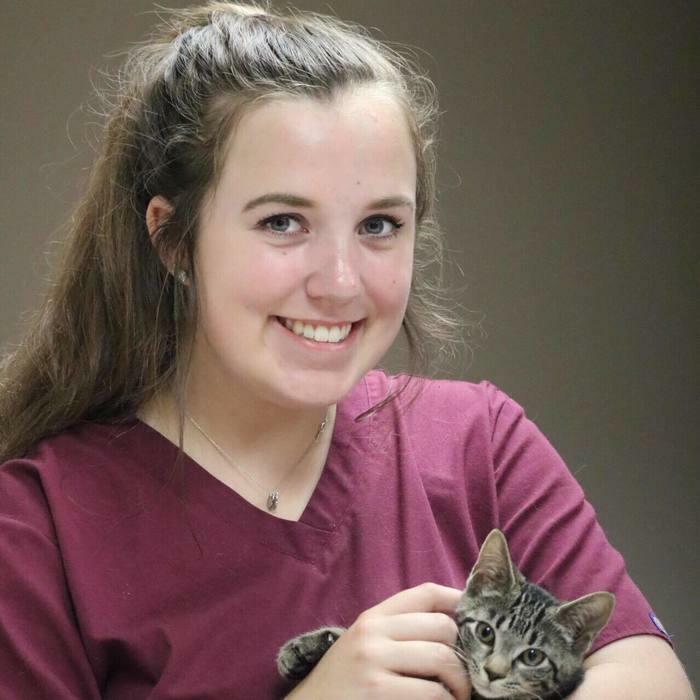 Mariel just finished school and this is her very first veterinary assistant position! She is always ready to give your pet a smile and a treat. We are happy to have Mariel with us and are excited about her future here as she grows and learns. She shares her home with several animals including a few exotics. Ask her about them! Desiree has been an LVT for six years and also brings years of Emergency Services experience to our staff. Desiree is always making us laugh but is also very serious about your pets care. Rest assured they are in good hands with her! She shares her home with her favorite companion, her dog, and her two cats. Mikaela is currently in her final year of Technician school (LVT). 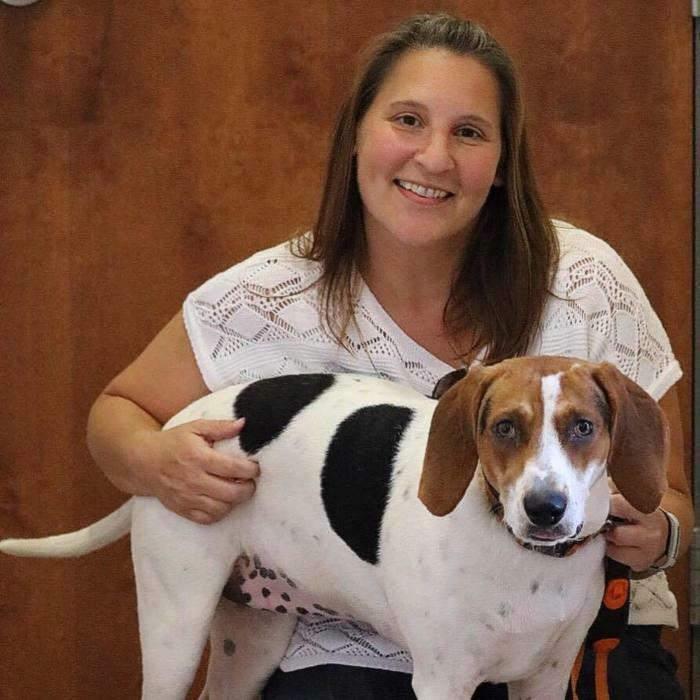 She has been in the veterinary field for many years and just moved back to her hometown of Louisville with her husband. We are so excited to have her here! She provides so much support and encouragement to our entire staff. Ask her about her two giant dogs and three-legged cat at home. 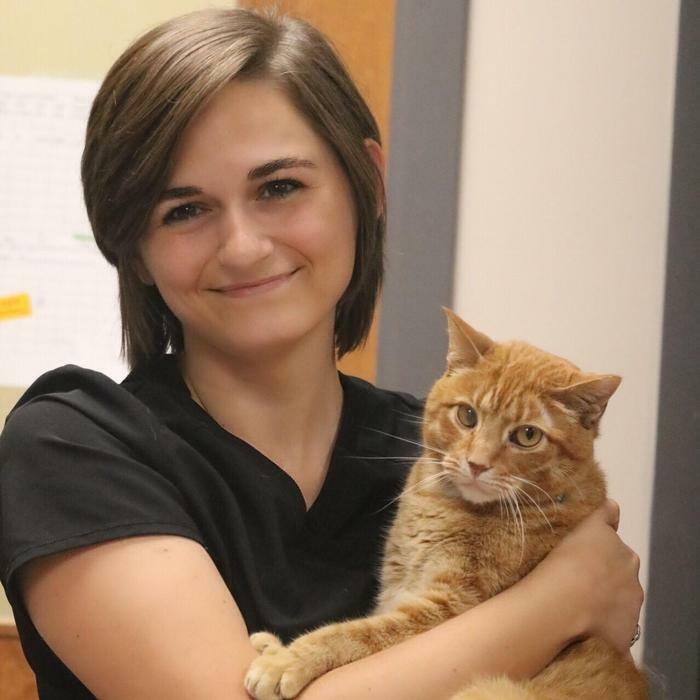 Kyndal has been working in the veterinary field for four years and has a developed interest in emergency cases. She is a fantastic hands-on learner, multi-tasker, and works very well in tense situations! 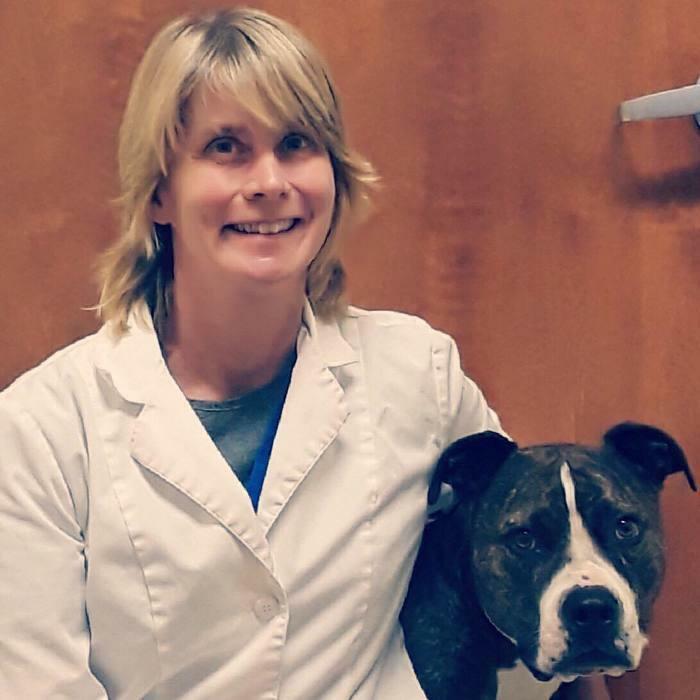 She has an enormous passion for animals, which is evident in every patient interaction. Whenever there is a young animal needing to be bottle fed or intensive care needed, Kyndal is right there to take it head on! She has one dog and a gerbil at home. She is excited to be a part of the Barbour Lane team, and we hope you are as excited as we are to bring her on board! 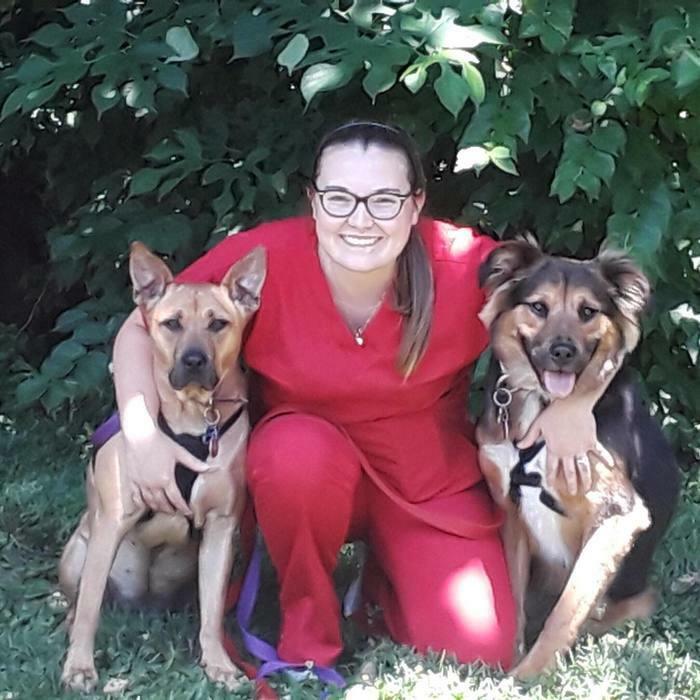 Lindsay came to us after working at Treats Pet Resorts to assist our senior groomer Kristen in bathing the dogs that come in for grooming and boarders that get exit baths prior to going home. She has learned a great deal working with Kristen as her right hand helper for many years and she is now a groomer who handles her very own book of clientele. She shares a home with her husband, dog, and cat. 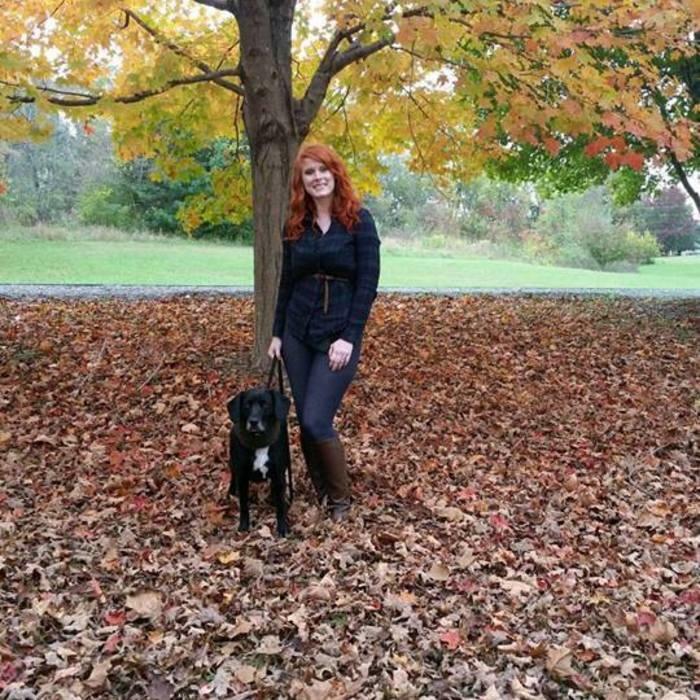 Sam comes to us with 11 years of grooming experience and a high recommendation from our long time groomer, Kristin. Sam has a reputation for having a calm energy and a patient disposition. Perfect for our grooming clientele! She loves both her dog and cat clients, as well as their moms and dads. Sam spends her free time with her husband, three year old daughter, and their rescue dog, Lila. Anne came to us without any small animal experience and has turned into a great shampoo and drying asset for our groomers! She is sweet, funny, and hard working. 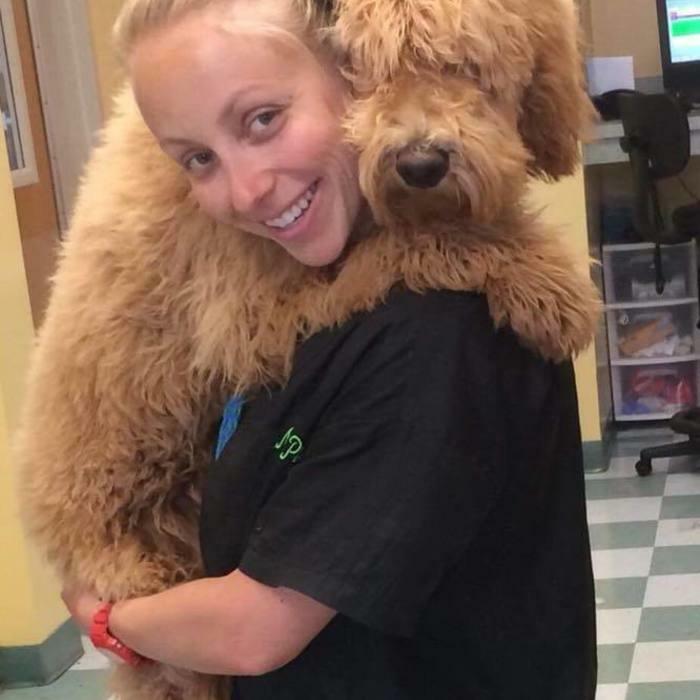 She gets your dog perfectly clean for our groomers so they can do their best work! All of our wonderful kennel attendants keep your pets cozy and comfy through the nights and weekends while they board with us. They make sure they are well taken care of in your absence. They all share a love for animals that is second only to their passion for taking care of them. Your pets are in great hands with them! Love these vets! Dr. Townsend + O'Grady are the best! It's been ever since we moved here in 1978 that Barbour Lane has been our vet for all our past dogs-Tiffany, Taffy, Baby, Pebbles and our sweet Winnie. Our current fur baby, Lexi, just had a visit there. The best, just the best!